We are completely enamored with the service we received. Kobe well done. Enrique was great. He was punctual, very nice and polite, and got the job done quickly. Awesome and fast repair, thank you very much for a pleasant and easy experience. Great Service, will ask for company for any future moproblems with our machines. Edi was awesome, knew exactly what the problem with our machine was. He took care of the problem quickly and efficiently. Enrique went above and beyond his duties to be sure he did a good job. 1/1/19 Microwave issue-time set worked but turntable didn't turn and light didn't come on. Called to set up appointment, earliest they could come was the 10th of January. First appointment 1/10/19 fuse issue $30 part that had to be ordered, repairman returned on 1/15/19 to replace, 3 1/2 hours later not only wasn't he able to fix the problem but now the oven didn't work, which was working the evening before his arrival to repair the microwave. Another part had to be ordered was due in on the 18th and that repair was to be made on the 18th. The part didn't arrive so had to be rescheduled for the 21st. Still no part, finally the part arrived on the 22nd and the repairs of both the microwave and the oven were completed. We were required to pay for the oven part which worked fine before their repair man caused a problem. Therefore we were without a microwave for 22 days and an oven for 10 days due to incompetent repairman who caused the problem with the oven. During this time we continued to try to reach a superior at the company and were told an email would be sent to a supervisor who would contact us within 24 to 48 hours. We received a voice mail from some one named Edwin two days after our call we called him back three times left messages and we have yet to hear from him. Repair capabilities for inadequate. Customer service terrible Access to management or owners is unavailable Price was unreasonable considering they caused the problem. The team was great. They fixed the issue we had in no time. The went beyond there way to explain not only about the appliance we called for but the others we had as well. Awesome Job! Enrique is a hardworking genius!!! Chris diagnose the problem of the washer, replace the part, and then test the washer. Very good job and great service. Thank you. He replaced a part,the washer seemed to start ok but is still broken. Over 3 weeks and i have to wait til tuesday to see a tech . I am sure it will need another part. Another week? NOT HAPPY!!! Great customer service...Extreamly knowlegable and efficient. Chris did a fantastic job. He was thorough and the machine is working great now! Rose was very professional and efficient. She diagnosed a problem immediately and was prompt in returning with all the parts needed to fix the problem. She was amiable, polite, and has a great sense of humor. 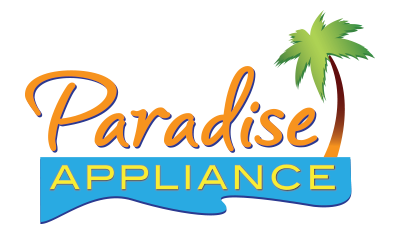 When our next appliance breaks, we will call paradise and request Rose as our repair person. REFRIGERATOR WHIRLPOOL WRS325FDAM04 "Water leaking, found piece of foreign material inside drain hose, cleared drain hose and tested...."
REFRIGERATOR WHIRLPOOL WRS325SDHZ01 "Freezing in thr refrigerator compartment, replaced the air diffuser and thermistor." FREEZER KITCHENAID WRS325FNAM01 "replaced FZ door but found imperfections on the cabinet, seems af if it was dropped.. unit unrepairable SR 7724610147"
DISHWASHER WHIRLPOOL WDT730PAHZ0 "Not working at all, replaced the main control board and ui panel..."
REFRIGERATOR WHIRLPOOL WRX735SDBM04 "Frost and moisture inside, adjusted doors and leveled, doors closing fine now, Cosco one year additional warranty." REFRIGERATOR KITCHENAID KSF26C4XYW00 "Not enough ice production, replaced the ice maker and cycled tested, customer reported fridge was making noise but I was not able to duplicate noise problem...; used 1 WPW10251076 (ICEMAKER) from stock"
REFRIGERATOR WHIRLPOOL WRF535SWHZ01 "Frost inside freezer, found door not closing due to food overloading, also adjusted refrigerator dooe was making noise..."
REFRIGERATOR WHIRLPOOL WRF954CIHZ00 "Not making ice, frozen fill tube anmd broken wires, ordered comp"
REFRIGERATOR WHIRLPOOL KRFF302ESS0 "Checked door and gaskets, all three doors closing normal, could not fine any problem..."
REFRIGERATOR WHIRLPOOL IT21AMXRQ03 "Customer stated unit was not freezing, checked compressor and fan motor, working fine, defrost system ok, has a full frost patter..took pictures.."
REFRIGERATOR WHIRLPOOL KRMF706ESS0 "Not dispensing any ice, replaced the dispenser motor and drive shaft, tested, working fine now...."
REFRIGERATOR WHIRLPOOL KRMF706ESS0 "Not dispensing ice, ordering dispenser motor and shaft..; ordrng 1 WPW10347114 (shaft) and 1 W10822606 (motor)"
REFRIGERATOR KITCHENAID KRFF305EBL00 "Top door hinges missing some screws, replaced missing screws and adjusted refrigerator doors, customer reposted cabinet side have some defrsion on two spots I took pictures to document it...instructed no repairs on cabinet avail." REFRIGERATOR WHIRLPOOL WRF555SDFZ08 "Noisy, could not duplicate noise problem but Ichecked and adjusted compresor and condenser tubing for possible vibration, adviced on food storahe and door closing"
REFRIGERATOR WHIRLPOOL WRS588FIHB00 "Still freezing in the refrigerator compartment, replaced the main control board, temperature thermistor, air duffuser and filter housing that was frozen and cracked..."
REFRIGERATOR WHIRLPOOL WRS588FIHB00 "Still freezing in the ref section, replaced air diffuser but it was already installed on prev repair visit, need to order temperature thermistors and main control board..; ordrng 1 W11089236 (main pcb) and 2 W10316760 (thermistors)s"
REFRIGERATOR JENN-AIR JFC2290REP00 "Left door not closing correctly, adjusted door and vertical mullion...door closing normal now...."
REFRIGERATOR WHIRLPOOL WRS325SDHW02 "Customer stated that the alarm will not stop bipping, tested could not fine a problem, working fine at this time, adjusted door leveling." REFRIGERATOR KITCHENAID KRBL102ESS00 "Frost build up in the freezer, checked door and door gaskets, all closing normal, is possible door was left ajar for a long time, adviced....."
REFRIGERATOR WHIRLPOOL WRF989SDAM00 "Water leaking, door not closing correctly, replaced the filter housing, door mullion and pantry userc interface, tested and leak tested...."
REFRIGERATOR WHIRLPOOL WRF993FIFM00 "Freezer compartment ice maker not working, bottom ice maker not ejecting ice cubes, replaced the freezeer ice maker...."
REFRIGERATOR WHIRLPOOL WRS571CIDM01 "Not making ice, removed and reconnected wire harness from freezer door, removed frost from ice chute and checked the dispenser, all working normal, ran diagnostis and calle tech line, #7724306166"
REFRIGERATOR KITCHENAID KRFC704FPS02 "Water and frost build up, cleared the drain in the refrigerator section and remoced all frost." DISHWASHER KITCHENAID KDTM354DSS5 "Not working and leaking water, replaced the sup and motor assy, reinstalled and leveled unit, tested working fine now...double labor was declined." REFRIGERATOR WHIRLPOOL WRS571CIDM01 "Not making ice, 0rdering ice maker and user interface...; ordrng 1 W10873791 (ice maker) and 1 WPW10758681 (UI)"
REFRIGERATOR WHIRLPOOL WRF993FIFM00 "Wrrong ice maker was pre id, reorder freezer ice maker. ; ordrng 1 10898289 (ice maker)"
REFRIGERATOR WHIRLPOOL WRF989SDAM00 "Leaking from filter houysing, noisy door mullion, user interface missing segments, ordering parts. ; ordrng 1 WPW10565996 (user interface) and 1 W10806457 (mullion) and 1 W11194438 (filter housing)"
DRYER MAYTAG MGD3500FW0 "replaced main cntrl and that fixed the error code issue, i also tugged on some wireing so it elliminated this buzzing noise they were getting"
DISHWASHER KITCHENAID KDTM354DSS4 "Notr working, found main control and wire harnes badly burnt, replaced control board, wire harness and console, tested working fine, using t#KIWUP00MPL2;"
DISHWASHER KITCHENAID KDTM354DSS4 "i was the helper for field training class , done ok"
WASHER MAYTAG MVWB835DW0 "complaing not working , found error code F5E3 bad lid lock , just ordering part; ordrng 1 W10810403 (lid lock assy)"
REFRIGERATOR WHIRLPOOL WRS325SDHZ00 "Freezing in the refreigerator compartment, replaced the air diffuser and main control board..."